Eco Friendly Printing on Eco Friendly Papers Look No Further! Are you looking for truly eco friendly papers for your businesses printing? Look no further, printing services from the original tree free paper company! 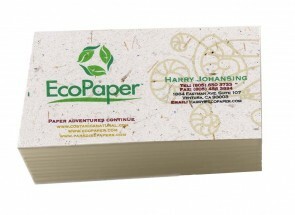 Ecopaper.com can provide any and all your tree free paper printing needs. Whether your looking for customized journals, post cards, booklet printing, business card and marketing material printing, brochure printing, wedding invitation printing, and so much more. 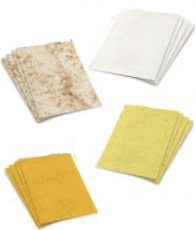 Ecopaper.com offers a range of tree free paper options, both online and offline help for file preparation and ordering. Feel free to give us a call (805)-644-4462 or send us an email info@ecopaper.com to get started on your next eco friendly printing project.